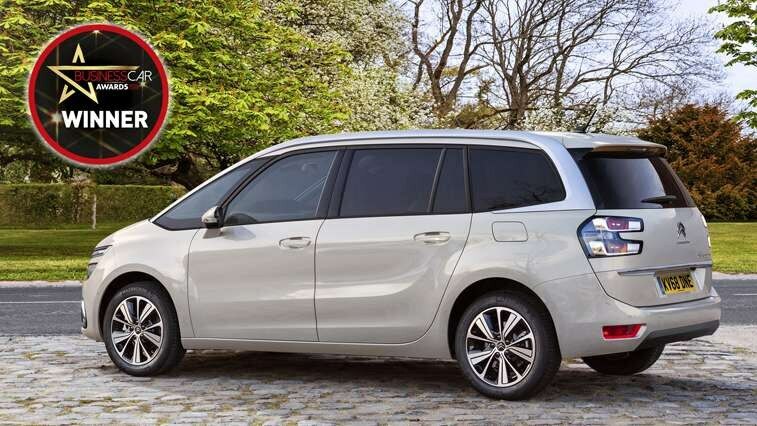 Citroën Grand C4 SpaceTourer has continued the winning streak of its predecessor the Grand C4 Picasso, beating established rivals to the Best MPV Award in the 2018 Business Car Awards. The panel of Fleet sector judges made their decisions based entirely on whole life costs. The Citroën Grand C4 SpaceTourer has won its first award since replacing the Grand C4 Picasso earlier this year, taking the Best MPV Award at the Business Car Awards last night. Business Car judged all short-listed entries solely on whole-life costs and the winner was determined by an experienced judging panel drawn from experts in the fleet sector. The awards ceremony was staged at the Royal Lancaster Hotel in west London, overlooking Hyde Park and the Serpentine. The Grand C4 SpaceTourer saw off short-listed rivals from Kia, Renault and Volkswagen and continues the winning ways established by its predecessor, the Citroën Grand C4 Picasso, which won the Best MPV Award in the 2017 Business Car Awards. In fact, Grand C4 Picasso notched up its 21st award in May when it won the Best Medium MPV Award jointly with the C4 Picasso in the Diesel Car and EcoCar Magazine’s Top 50 for 2018.